If there are chemtrails today, we can’t see them over the low ceiling of clouds. The hygrometer reads 60 making it very humid with on and off rain. With the lack of snow, the water table is down and the crops are thirsty. 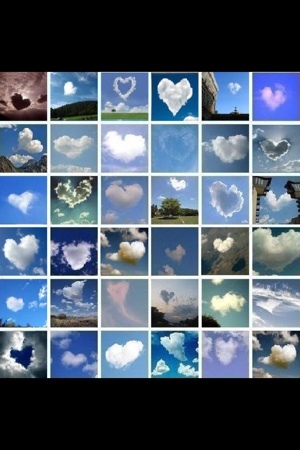 The collage of heart clouds in the sky appears to be chemtrail free. We didn’t take it but sure do like it. And we love our followers on WP and twitter.